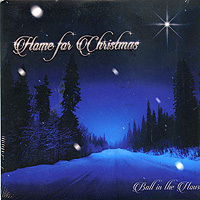 Ball In The House are at the forefront of the new contemporary vocal band sound. Distinguished by all original material, punchy vocal bass and drums, wailing guitar and a generally rawer, "rock" approach, the six young men of this Boston group get down more than most. "The More That I Say" builds up to a rambunctious outro that is a vocal percussion extravaganza. "Crawlin'" is bluesy roots rock with an updated seventies feel; "Try" an urban soul ballad, a modernized street corner harmony. 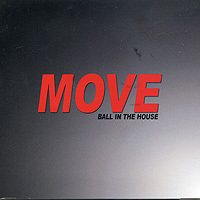 In general, if you like a "heavier" sound with your a cappella, you'll be loving Ball In The House. Ball In The House: Granite Ave.
We well remember Boston-based, 5-man Contemporary a cappella group Ball in the House from their 1998 appearance at the Harmony Sweeps Finals in San Rafael. Since then they have wowing audiences with their dynamic live shows (over 250 a year!) and with excellent recordings ("Granite Ave." is their 4th). 12 cuts, many of them originals written and arranged by the group. Aaron Loveland, Dave Guisti, Jon Ryan, Dan Syzmczak and Tim Foust share credit for the words and music on "Come Back to Me," "Get It Together," "Crawlin' Out From Under," "Trust Me," "Your Love," "Addicted" "What More Do You Need," "Anyway," "Set The Mood," "Heavy On My Mind" and "Let You Lead." The only cover, arranged by the guys is Stevie Wonder's "Superstition," one of the best covers of this classic that we've heard. Strong vocal percussion throughout supplied by Jon. 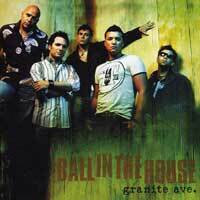 "Granite" shows Ball to be at the top of their game and among the elite Contemporary groups in the world. They are stars as a cappella performers, composers and recording artists, and the world is quickly discovering that! BITH always put on a great show and do indeed, as the album name suggest, makes your body want to move. Their usual dynamic sound is in full force on this fabulous selection of pop cover songs. All male, Boston-based Contemporary a cappella quintet Ball in the House used their memorable appearance at the 1998 Harmony Sweeps Finals as a springboard to an amazing career of dynamic live shows (over 250 live performances a year) and excellent recordings ("One Night Only" will be their fifth hot-selling album in the Singers.com catalog). BITH's sound features solid, driving beatbox, hot arrangements, and sweet leads & harmonies. 18 covers, some of our favorites are a rap-flavored take on Stevie Wonder's "Superstition," CSN&Y's "Love the One You're With," the Disco hits "Ladies Night" and "Oh What A Night;" the mainstream radio hits "Nothin' On You" and "Just the Way You Are;" the Motown standards "Ain't No Sunshine," and "That's the Way I Like It," the live cut "Waiting," Michael Jackson's "Billy Jean" and "I Want You Back;" and the Seals & Crofts' 70s anthem "Summer Breeze." It warms our hearts to watch a top-drawer group from the Sweeps Finals grow into one of the top a cappella touring groups performing today. "One Night Only" is a party in a CD sleeve and we're invited! What happens when you put five amazingly talented guys in a recording studio? 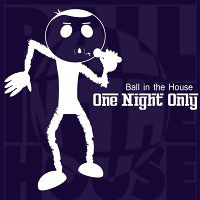 The amazing powerhouse of sound, Ball in the House, answered that question with their newest CD. That's right, Tim, Jon J., Aaron, Dave and Dan are back with six new original songs to add to their repertoire. They have delivered a great mix of upbeat music you could dance to as well as some very tender ballads with lush harmonies that could give any contemporary a cappella fan chills. While there are only six tracks, the awesome lyrics and the catchy melodies of each song are more than enough to keep you satisfied as well as hope for their next release to be out soon. From the opening vocal percussion solo on the first track till the triumphant, yet soothing sound in the final track, your ears are sure to be glued to your stereo.